Review Summary: Premam is a fun film with fun music. But nevertheless, watch this film. For Naga Chaitanya of course… but watch it more for director Chandoo whose honest approach towards making this film has made it unique. He may not have done a perfect job, but he definitely will grab your attention. Premam attracts youngsters and people in love.Without tampering with the original, Chandu Mondeti delighted fans by making some changes including cameos of stars like Venkatesh and Nagarjuna. Even songs of Nagarjuna's hit films thrilled movie lovers. Chandu Mondeti's dialogues are attractive and situational comedy worked out well. I haven’t seen the original Malayalam film (on purpose as it was going to be remade in Telugu). Hence my view will vary from the people who have seen the original. Plus points of the film are casting (especially Naga Chaitanya), beautiful moments and realistic approach by director. On the flipside, there are a few dull moments in second half due to a few forced comedy elements (Sathya teaching dancing etc). On a whole, Premam is a film of moments that explores love in it’s purest/idealistic perspective. You may watch it! Feel Good Love.On the whole, it turns out to be satisfying watch. Come… Fall In Love With Chaitu.‘Premam’ is a clean, neat and beautiful romantic flick which you are surely to connect with. Though weak narration and boring episodes in first half diluted the overall essence, the movie is worth passable in first class for the efforts put in by Naga Chaitanya and Chandoo Mondeti. Premam is a decent product and will go very well with those who have not watched the Original. But then given the acceptance the original has got, getting to that far is also a commendable job. Go... fall in love, Again. 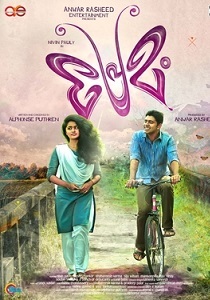 Premam will appeal to the urban audience for its sophisticated style of storytelling and feel good nature. B and C centers may find it too slow for their tastes. Premam is not blockbuster material but has the goods and good moments to be a winner. Premam will undoubtedly be the film that will take Naga Chaitanya to the next level as a star. He surprises you with his standout performance and is the sole reason to watch Premam. Romantic songs, entertaining narration and a feel-good nature of the script will surely be loved by the audience big time. If you stop drawing comparisons from the original and go with an open mind, Premam is one romantic entertainer which will keep you hooked throughout and makes up for a good watch this festival season.